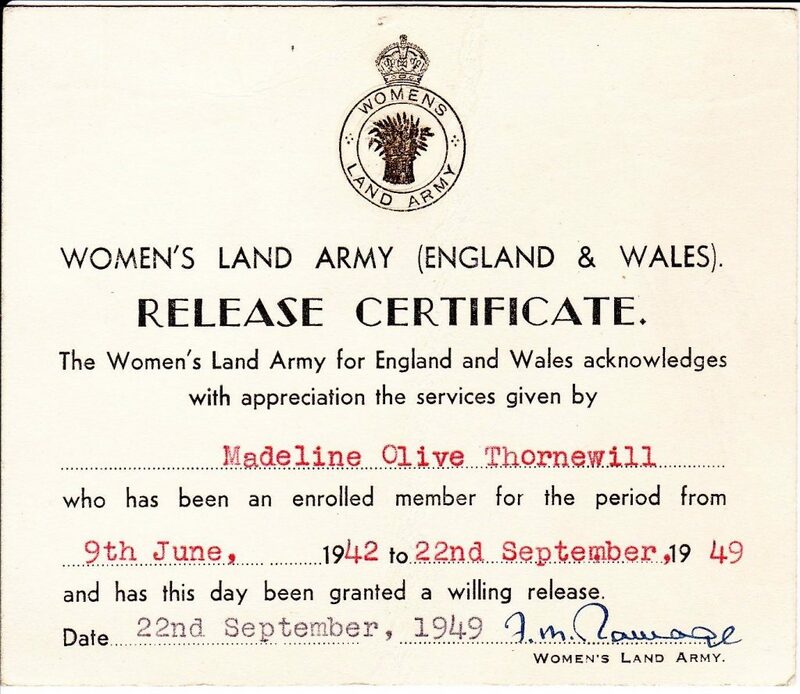 In 1942, shop assistant Madeline Olive Thornewill joined the Women’s Land Army. She was 20 years old and lived in Newhall, near Burton-on-Trent. She remained in the WLA for 7 years, working in Buckinghamshire. This post shares some photos sent by Mel Gould at the Loughborough Carillon Tower & War Memorial Museum. 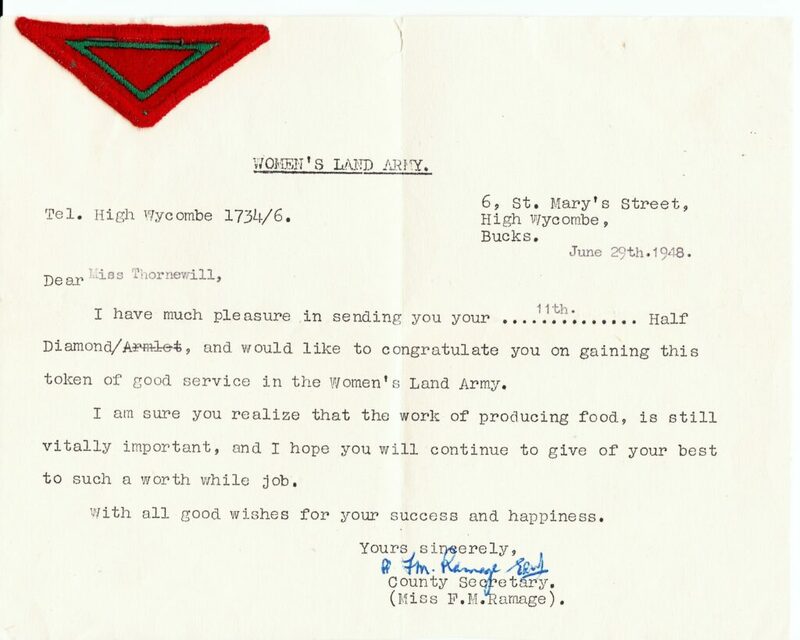 They include photos of Madeline, the other women she worked with, as well as correspondence about her armlets and half-diamonds to mark her time as a Land Girl. 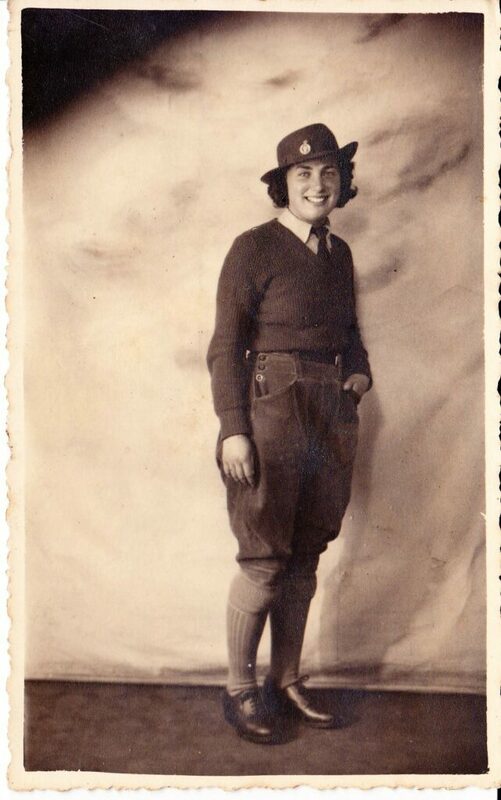 After the war, Madeline went to work as a typist for an Intelligence Organisation in Austria. Madeline’s archive material is now held at the Centre for Buckinghamshire Studies. 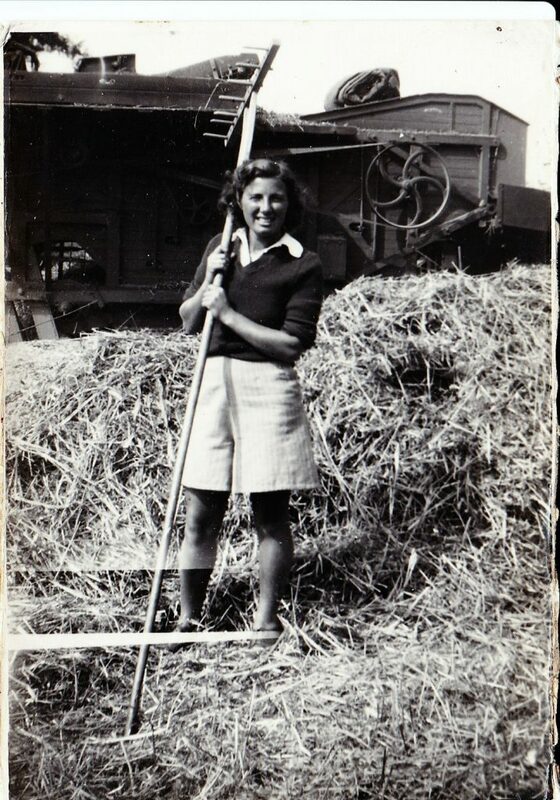 Madeline Olive Thornewill posing while at work in the fields. Her WLA number was 85405. 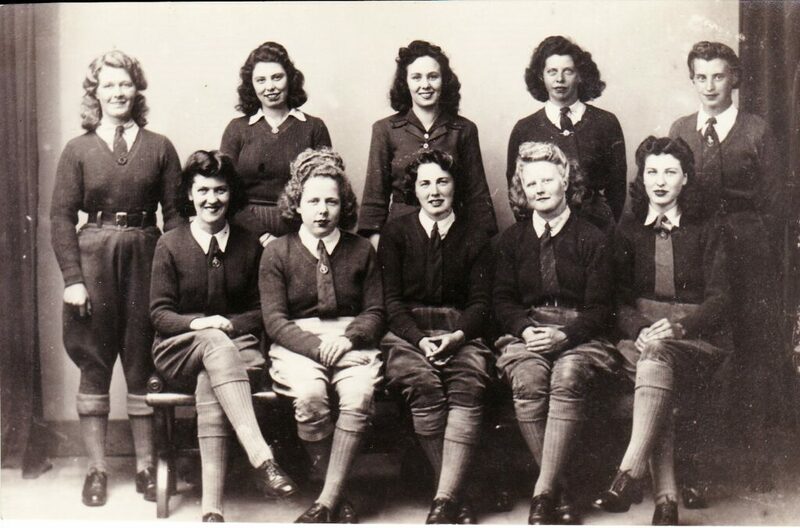 Buckinghamshire Land Girls. 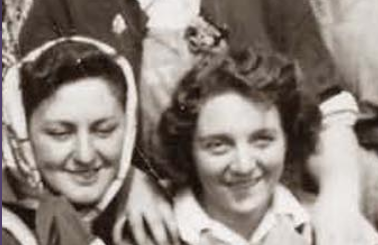 Does anyone recognise the women in this photograph? 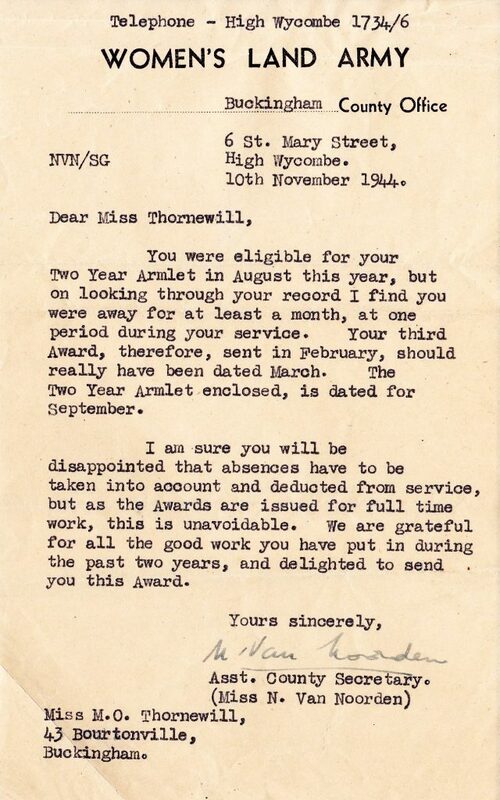 Letter sent on 10th November 1944 regarding the awarding of Madeline Thornewill’s 2 year armlet. 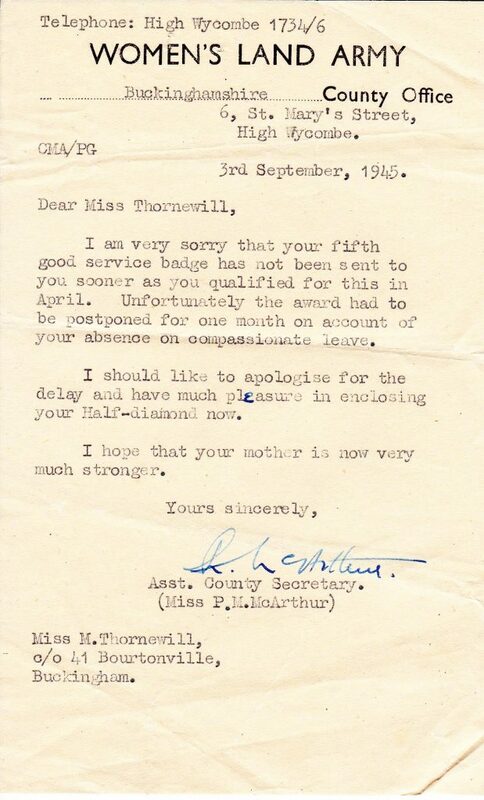 A letter sent on 3rd September 1945 enclosing Madeline Thorniwell’s half-diamond. 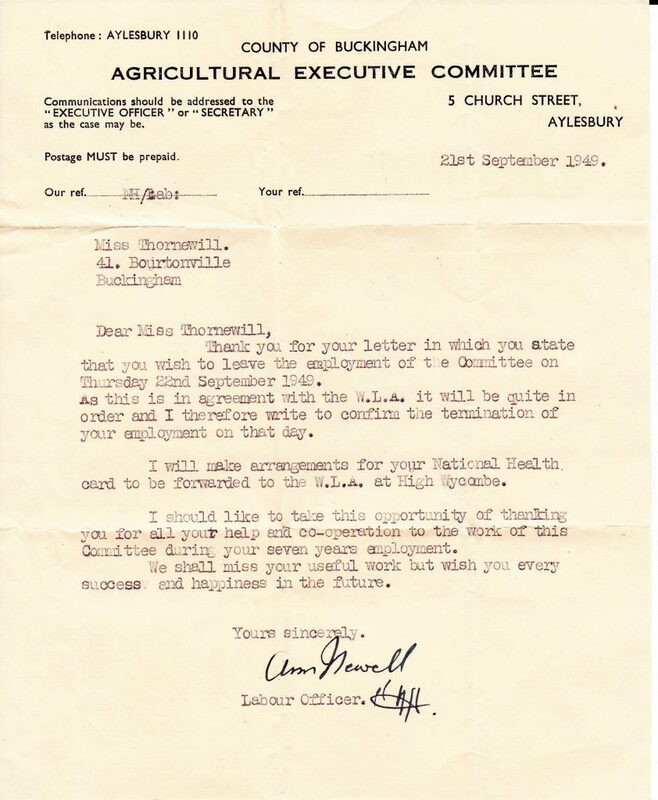 A letter sent on 29th June 1948 enclosing Madeline Thornewill’s 11th (!) half diamond. 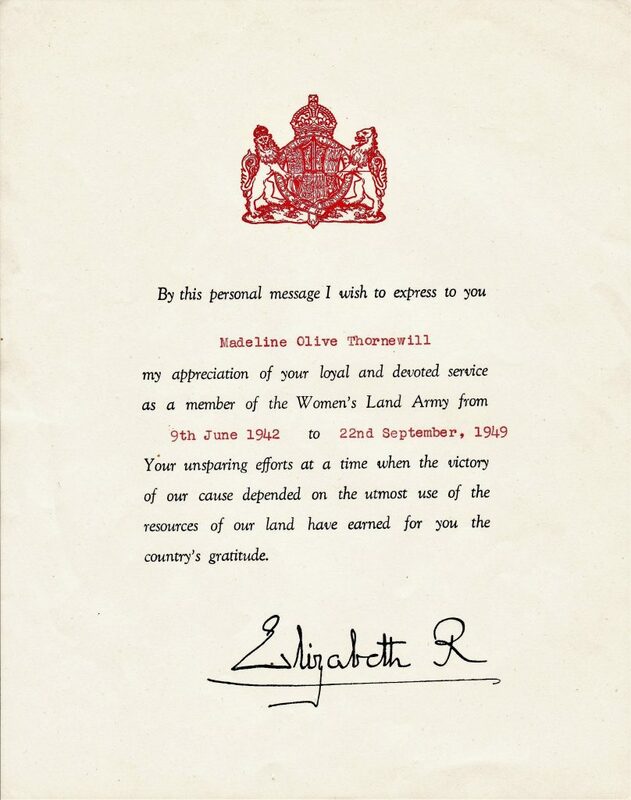 A letter sent to Madeline Thornewill in 1949, confirming the end of Madeline’s time in the WLA. 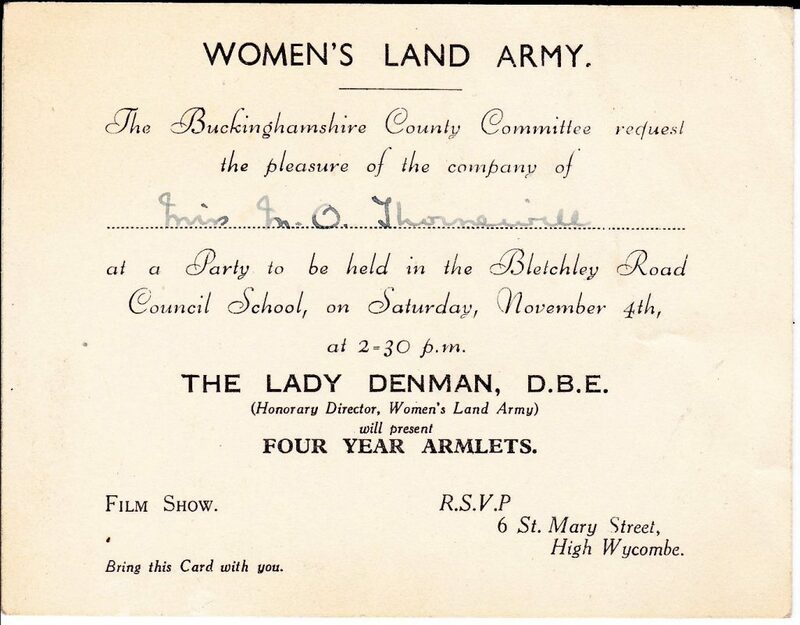 Invitation for WLA party held on 4th November. Year of party unknown.